As we hit February, mortgage rates continue to remain low, bringing about a high dosage of optimism to the market. While some reports attempt to dissect drops in builder confidence with a negative-bent attitude, low rates seem prepped to steer potential buyers toward getting their own set of house keys, curbing the pessimism of market naysayers. 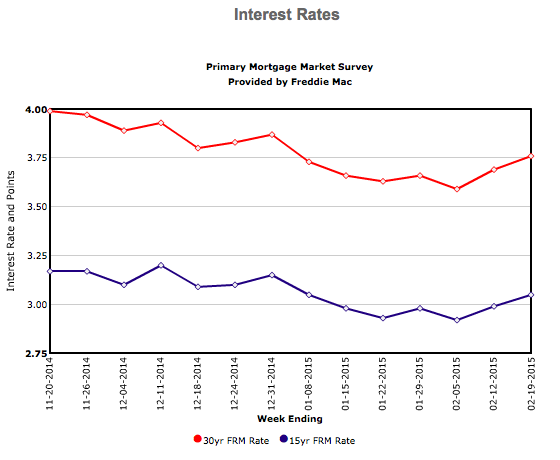 Freddie Mac’s release of the results of its Primary Mortgage Market Survey® (PMMS®) on Feb. 19 shows average fixed mortgage rates moving higher for a second consecutive week. However, they still remain near their May 23, 2013 lows. The Twin Cities regional housing market started 2015 on an enthusiastic but not overly dramatic note. 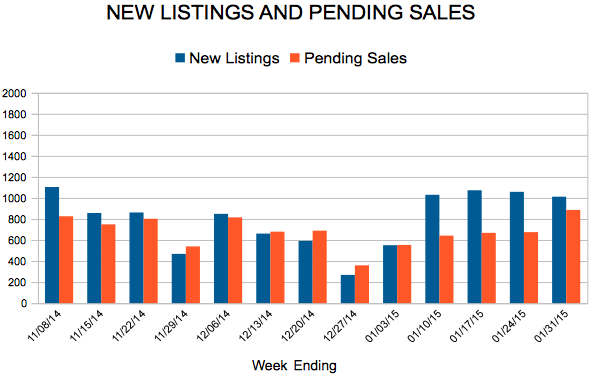 Both seller activity and pending buyer activity increased relative to January 2014. 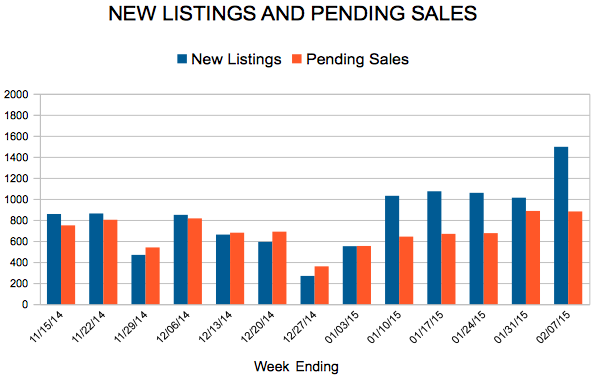 Sellers introduced 4,497 new listings to the marketplace, 5.9 percent more than last year. Buyers entered into 2,986 purchase agreements, 7.8 percent higher than the pending sales count at this time last year. 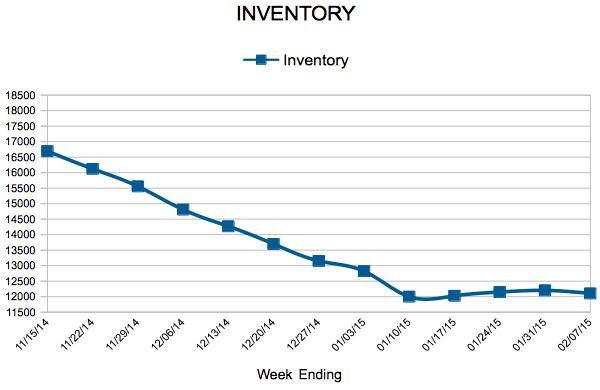 Inventory levels were lower, down 6.3 percent to 11,926 homes currently on the market. Many in the industry are expecting more inventory as we approach the spring market—both in a month-to-month sense as well as year-over-year. The median sales price rose 8.5 percent to $195,000, the strongest gain since last February. This increase marks 35 consecutive months of year-over-year median price gains. Price per square foot—perhaps a more telling figure—rose 6.6 percent to $118. Absorption rates were dead-even with last January. 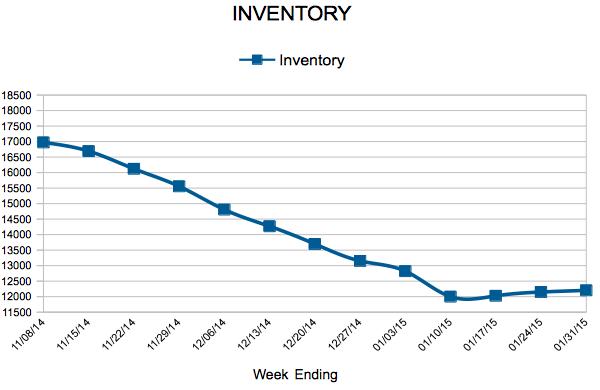 Months supply of inventory was flat at 2.9 and still suggests the arc of the market is bending toward sellers. That said, today’s landscape is slightly less competitive than in past months. Partly as a result, days on market until sale rose 7.5 percent to 100 days. Digging deeper, the trend of less foreclosure and short sale activity continued. Traditional pending sales rose a significant 21.9 percent, while foreclosure and short sale pending sales each fell about 25 percent. That changing mix of product has helped catalyze the nearly three straight years of price gains seen in the region. Surprisingly, interest rates have again sunk below the 4.0 percent mark. Historically and persistently low mortgage rates tend to spur purchase demand. This highly attractive financing environment can potentially offset home price increases and also encourages renters to consider homeownership. The Twin Cities housing affordability index of 206 remained stable. 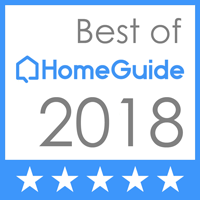 This means that the median household income was 106 percent higher than the necessary income needed to qualify for the median-priced home under current interest rates. Another factor motivating home buyers is the dramatically improving jobs scene—both locally and nationally. In December, the Bureau of Labor Statistics reported that the Twin Cities again had the lowest unemployment rate of any major metro in the nation at 3.3 percent. At 5.6 percent, the national rate is the lowest it’s been since June 2008. Private job creation is accelerating and figures from past months have been revised upward. On Feb. 12, Freddie Mac released the results of its Primary Mortgage Market Survey® (PMMS®), showing average fixed mortgage rates moving higher following a strong employment report. 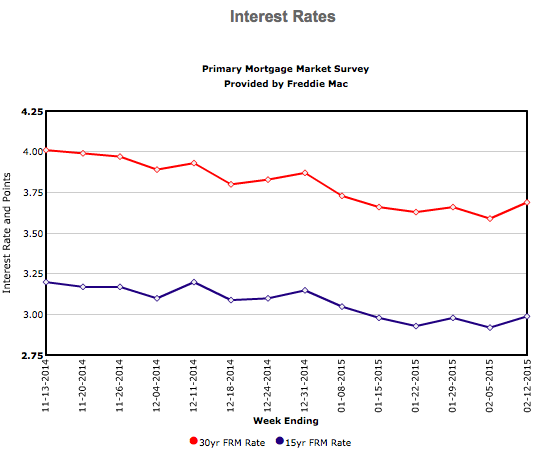 Regardless, fixed-rate mortgages rates still remain near their May 23, 2013 lows. The U.S. economy continues on its journey upward. Not only have gas prices hit multi-year lows, but wages have experienced gains not seen since 2008. As the year picks up steam, and whether you hang out with the bears or bulls of market recovery prognostication (not Chicago sports teams), one cannot deny that the economy is in a more stable position than it has been in years.